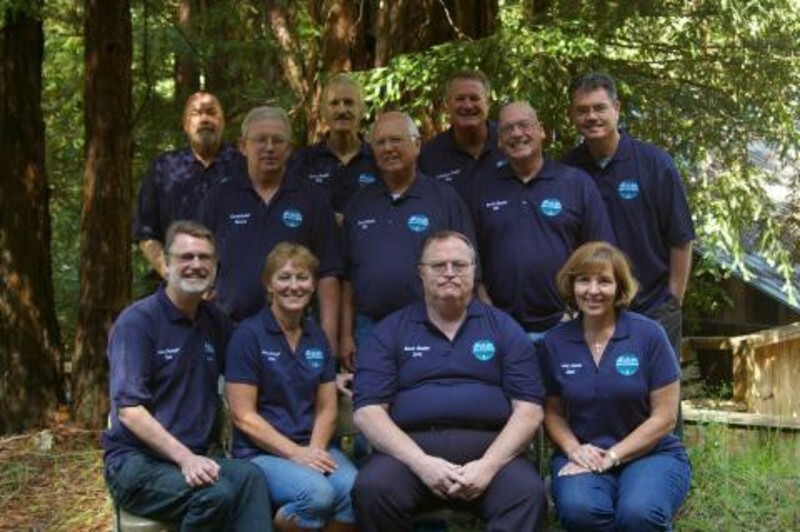 The body of Christ has come together in Cazadero to revive the camp for God's glory. It's exciting to see God moving in the hearts of his people. This is an amazing group of people with servant's hearts who work together well, giving all honor to our Lord and Savior, Jesus Christ. 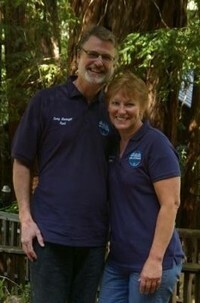 We welcome our new Caretakers, Steve and Beverly Earls. Stay tuned... their bio will be posted sooon. Great group with servant's hearts. Contact your Director of Missions (DOM) if you are interested in serving on the board with this terrific crew. Growing up attending Bible Camp each summer has been an important aspect of our Christian growth. 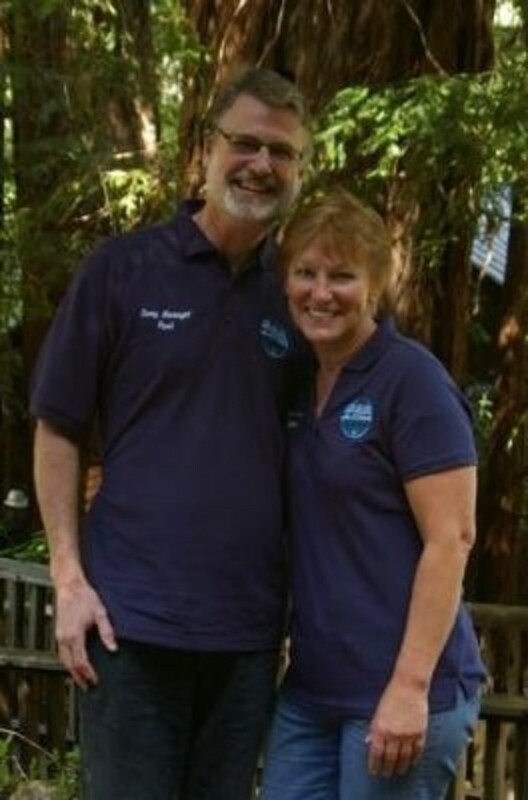 Paul grew up in Palo Alto, attending Mt Hermon Conference Center in the Santa Cruz Mountains. Loretta was raised in Eau Claire, WI and is a proud "cheese head". She taught waterskiing for many years with her family at Woodlake Bible Camp in Northern Wisconsin. We both strongly believe that Christian camping changes lives. Come and experience the beauty of the redwoods and all that Cazadero Baptist Camp has to offer. We look forward to spending time together! 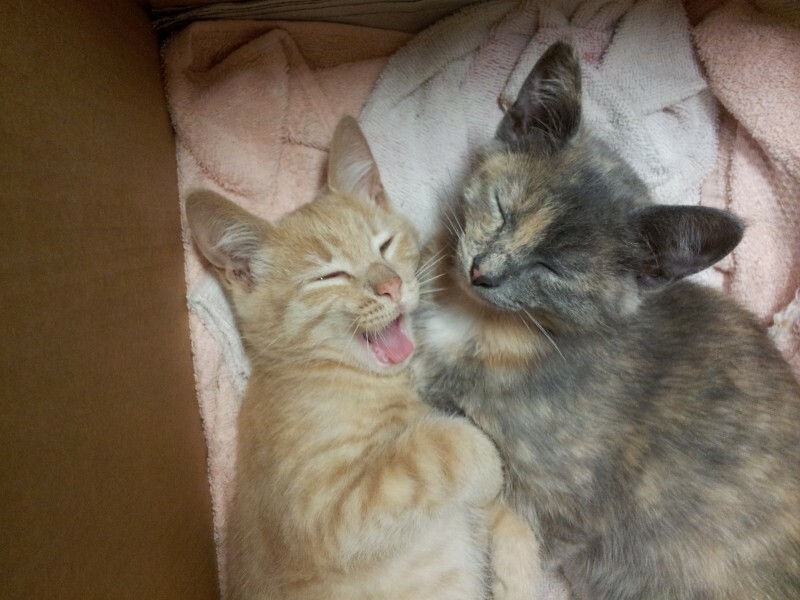 "We are the Camp Cats since October 2016. When we first came here, everything was new. Now we are familiar with the whole camp, but there are still lots of things to do, for example climbing these huge Redwood Trees or playing at the beautiful creek. They say our job is to catch mice, but the main part is to please and entertain the campers! We look forward to meeting you - surely we will have much fun when playing together and sharing our love."